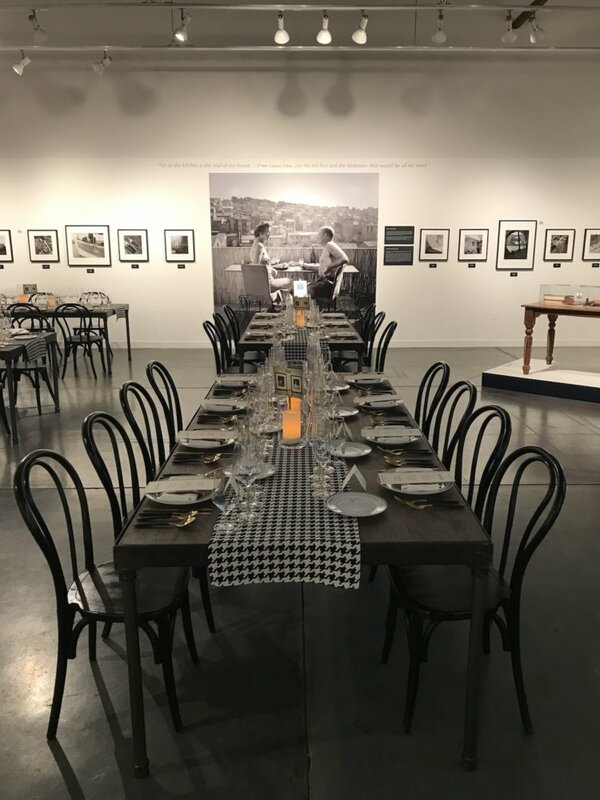 Napa Valley Museum Yountville offers a spectacular space for your next event. 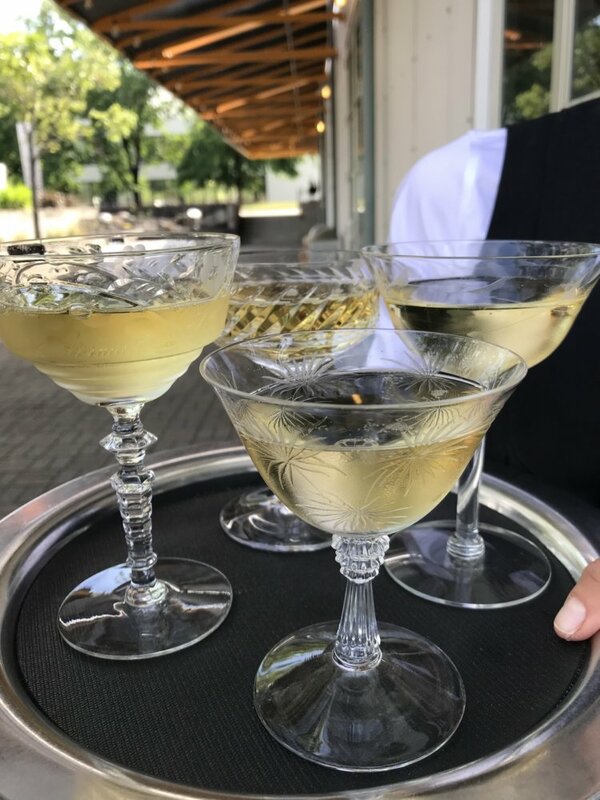 Host a Delicious Private Event at the Museum! The Museum’s galleries and outdoor spaces are available to rent for celebrations and corporate events. Host your next event in a gallery setting surrounded by one of our extraordinary exhibitions. 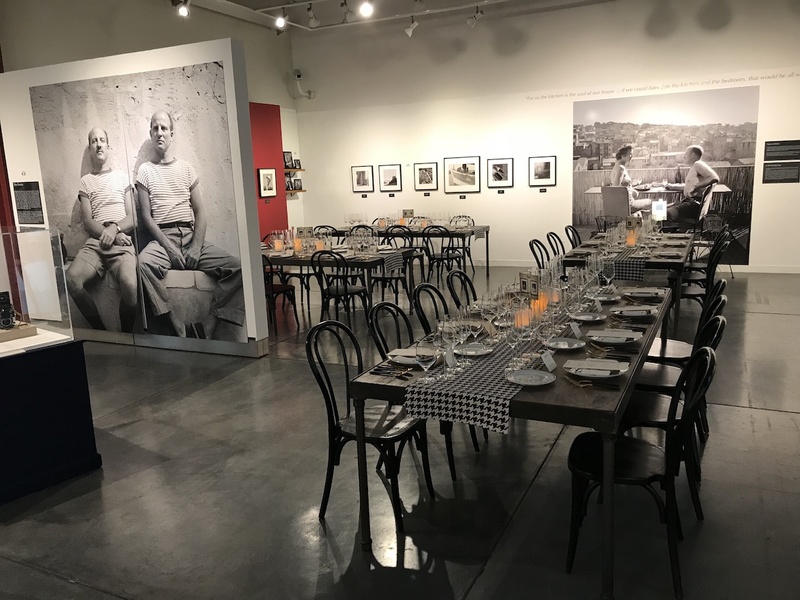 Pictured above are photos from a private dinner held within the world premiere exhibition “France is a Feast: The Photographic Journey of Paul & Julia Child,” featuring rare photographs of Julia Child in Paris. Our unique facility accommodates any type of gathering from formal sit-down dinners to elegant cocktail parties. We can put you in contact with performers to entertain your guests and caterers who will create savory appetizers or gourmet dinners to help make the evening memorable. Thank you for your interest in Napa Valley Museum. You will receive a response within 72 hours. The Museum can recommend some wonderful caterers and event suppliers – just ask! Our preferred parking vendor is CPA Parking. All galleries are currently closed. We are open Wednesday–Sunday 11a.m. – 4 p.m. This organization is funded, in part, by the Napa County Board of Supervisors through the Napa County Arts and Cultural Advisory Committee and by the Town of Yountville and the Napa Valley Tourism Improvement District - Yountville.